IS IT TRUE YOU JUST BOUGHT THE BOOMLAND? Yes. We bought it on the 28th September 2016. WHY DID WE WANT TO BUY BOOMLAND NOW? We came to the end of our Tenancy agreement with the owners of the land and this moment gave us the perfect opportunity to take this project a step forward. We can feel that the interest and support from your side has never been stronger. This is the time, and this is the place. WHAT ARE WE GOING TO DO AT BOOMLAND? Culture, well-being and art events in the different areas of the Boomland are combined with a focus on sustainability (such as the Boom Festival and the Being Gathering). Long-term environmental programs include reforestation, animal conservation, development of bioconstruction, using both permaculture and agriculture technologies. Well-being and education programs are planned such as workshops, retreats, nature trails and the long term development of a public park for nature and the arts. WHAT WAS THE PRICE OF THE LAND? The Boomland property costed one million and fifty thousand euros (1,050,000 €). WHERE DOES THE MONEY FOR THE ACQUISITION OF BOOMLAND COME FROM? We have been saving for this project, however, it was not enough. We have been asking for your support in order to buy the land by the end of September 2016. The Boomland was purchased on the 28th of September and for that we had to resort to a loan of 500.000€. Some Boomers were not aware of the crowdfunding campaign, we will leave it running for some time longer in order to help us pay back the loan. If you feel to contribute to this vision, you have some time more to do so. We are One! The money will be used to pay the loan for acquisition of the land, that is 500.000€. 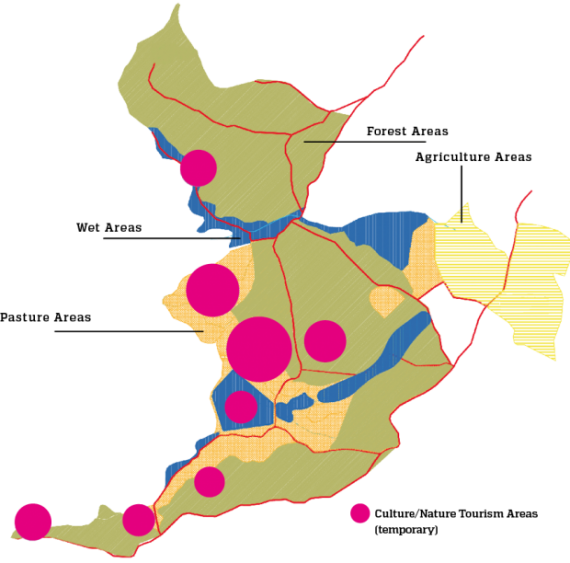 Boomland is an 150ha estate in the region of Idanha-a-Nova, Portugal. Located in the Castelo Branco district,in the region of Beira Baixa, 280 km from Lisbon, 290 km from Porto and 360 km from Madrid (Spain). WILL BOOMLAND BE OPEN TO THE PUBLIC EVERYDAY? The plan is to offer an extensive and diverse program at Boomland. However, it won’t be open every day because the weather conditions and cold climate can be harsh during the Autumn and Winters seasons. We want to embrace the idea of nurturing and conserving a nature reserve and to respect the regenerative cycles of nature. IS IT TRUE THAT THERE IS A COMMUNITY OF PEOPLE LIVING AT BOOMLAND? No, that’s just a rumour. We love the legacy of communities like Auroville, Ruigoord or Christiania, but that’s not what is happening in Boomland. Boomland will be managed by IdanhaCulta, a non-profit association with several associates, one of them is Good Mood (that is organising Boom Festival). IdanhaCulta was born in the region of Idanha-a-Nova and will develop environmental, educational, recreational and cultural projects.